- Discs, which are built into the bottoms of stainless cooking vessels. Slugs are semi products intended for counter-rotating extrusion. Our customers use them for the production of tubes and containers in the pharmaceutical, food and cosmetic industry. Through development and growth of the business scope we successfully entered the technical parts market, where technically demanding parts are produced from slugs, mainly for the needs of the car and electro industry. We produce round slugs with or without a hole. Slugs are flat or cambered (conically or spherically), according to the needs of the customer. The thickness of slugs we can offer to the customer is between 3 and 11 mm. All slugs are soft annealed and surface-treated. We are the only producer of slugs in the world that can offer three different kinds of surface treatments: sandblasting, vibration and drumming. Slugs can be packed in standard boxes with a capacity of 25 kg or in more packaging units, such as plastic containers or bags, having a capacity of 500 kg and more. Discs are discs with a diameter of 80 to 225 mm and a thickness of 2 to 10 mm. We offer discs with or without noses. Due to the annealing process, all discs are grease-free and with extremely narrow tolerance of thickness and curvature variations. They are produced in strict accordance with the requirements applicable to the production of the narrow strip from which they are cut out. 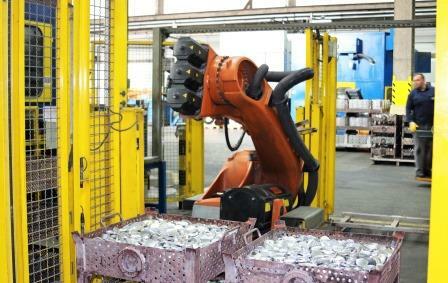 The production of discs is carried out in accordance with standards ISO 9001, ISO 14001 and ISO 18001. A lot of effort is put into prevention; therefore, the entire production is computerized and controlled, which allows a thorough management of the production process and timely prevention of errors. The result of our work is a quality product, resulting in a satisfied customer. We help customers in selecting the most appropriate alloys from the existing program, based on the market requirements and trends we explore and develop new, more competitive discs, together with our customers. 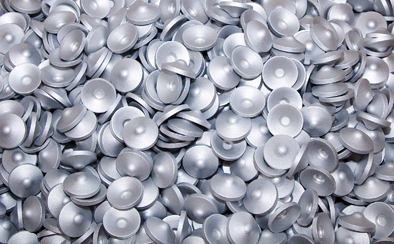 In Talum we have been producing discs and slugs already since 1980. In more than 35 years, we have gained invaluable knowledge, due to which we became one of the most important and most technologically advanced producers of discs in the world, together with continuous investments in the growth and development of production of discs. Discs and slugs are precision manufactured plates made of primary aluminum, stamped out of our own produces narrow strip. By this process, we have complete control over the quality of finished products. 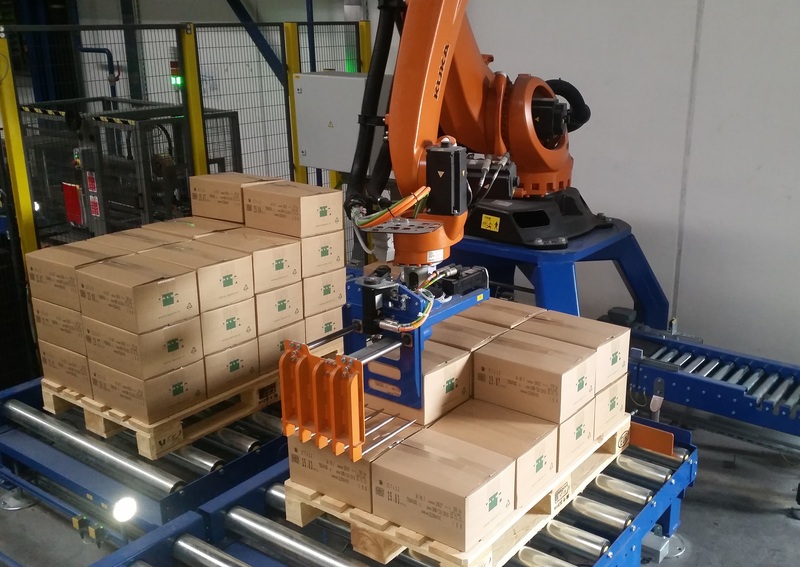 We are the only European producer of discs with two units for the production of the narrow strip, which enhances the development potential and flexibility of production and provides our customers with short delivery times. The result of the effort, knowledge and experience is the development of new alloys that offer our customers significant advantages compared to the use of discs from standard alloys. For detailed information please feel free to contact us. With the surface treatment the roughness of the surface is increased, which allows our customer the optimum application of coatings for a more constant material flow in the antidirection extrusion. We are a unique producer of slugs in the world, since we can offer our customer all the surface treatments required by the market. These are sandblasting, vibration and drumming. Packing of slugs is performed on a modern packing station. Slugs are packed in cardboard boxes of approximately 25 kg, which are piled on pallets. Each box is labelled with information on the contents of the box and the batch number for easy traceability. Boxes packed with slugs on the pallet are covered with PE foil and wrapped with elastic foil, which prevents the penetration of moisture during storage and transport of slugs. Each pallet is labelled with information about the product on the pallet and a bar code that is tailored to customer's requirements and enables the customer a simple and practical recording of the receipt of the goods. Discs are piled onto pallets. The bottom, the top and the exterior walls of the palette are secured with a cardboard covering, the palette is bonded and secured by an elastic foil to prevent moisture intrusion. Each pallet is labelled with information about the product on the pallet and a bar code that is tailored to customer's requirements and enables the customer a a simple and practical recording of the receipt of the goods. Slugs are stored in a modern rack storage with more than 1,240 places available. The storage enables transparent management of pallets and effective procedure for loading pallets onto a truck.